This app corresponds with the the Music For Little Mozarts piano method books (published by Alfred), but this app is perfect for any pre-school or Kindergarten-aged piano students. The app uses the characters Mozart Mouse and Beethoven Bear to learn about high versus low sounds, loud versus soft sounds, names of the piano keys, notes of the staffs, simple rhythms, etc. I think the interface of this app could stand to be updated to be more kid-friendly to use, but otherwise I think it is a great app. Tenuto is made by the developers behind the fantastic musictheory.net website and is also one of the best music apps you can buy for your iPhone/iPad. The app contains a variety of modules for practicing identification of notes, key signatures, intervals, chords, piano keys — both by sight as well as by ear. The graphics are attractive and the app is easy-to-use. The modules can be adjusted to adjust the difficulty of the activity. Tenuto is an excellent tool for beginner students through advanced students. SproutBeat is the companion app for Eik Siang Mar’s amazing website, FunAndLearnMusic.com, which offers a huge variety of free music worksheets that are both visually attractive and educationally effective. Using this app, you can easily access all of the worksheets from FunAndLearnMusic.com on your iPad to either (1) print the worksheets from your iPad to your wireless printer, or (2) have students complete the worksheet digitally using the pen and highlighter tool within the app. The full version of this app is worth every penny! The developers add new worksheets nearly every week. Read my full review here. Rhythm Swing is an excellent rhythm app for students and teachers to purchase. The app provides video lessons and rhythm tapping exercises. Students perform the rhythms by touching anywhere on the screen and the app provides feedback when the students inadvertently taps too early or too late. The background tracks are at a variety of tempos and sound great. Highly recommended. Read my full review here. This app features various levels where students have to tap out the rhythm shown on the screen. The graphics are great (with cartoon cats in the background) and the app features great background tracks for the student to tap the rhythms along with. Read my full review here. This rhythm app is a perfect for students to use at home as well as for the teacher to use during lessons. The app provides a variety rhythm examples (for either 1 hand or for two hands), starting with easy examples appropriate for beginner students and then progressing to advanced time signatures and rhythmic values. After touching the play button, the student must tap the rhythm of the example using the large, on-screen button. The app shows a green circle around the notes that the user taps correctly in time. At the end of the performance, the app displays a percentage indicating the accuracy of the user’s performance. The toolbar allows the user to adjust the tempo, choose between 1-3 measures of count-off, and hear the rhythm example played correctly. Read my full review here. Rhythm Training provides 3- to 5-measure rhythm examples for the user to practice. The user can change the tempo and change the percussion sound of the tapping button. Unlike some of the other rhythm apps available, this app does not evaluable the user’s performance of the rhythm example. Instead, the user must self-evaluate their performance based on how well the dots produced by the tapping button match the dots provided by the app beneath the notes in the example. The rhythm examples get fairly difficult after Lesson 10. This app might not sound like an educational music game, but it is! In order to make the sheep jump at the appropriate times in the game, the player must tap on the beat. The background music is great and this game promotes having the student listen carefully and keep an internal beat. And it is super fun! This app may seem more fun than educational, but it is actually very beneficial for students — there is no such thing as too much reinforcement for being able to feel the beat! In this game, the player is trying to help the Beat Sneak Bandit steal back all the clocks of the world from the villan Duke Clockface. In order for Beat Sneak Bandit to move in each puzzle level, the player must tap to the beat. This clever rhythm/puzzle game is challenging, so it is probably best for students age 8+. Note Rush is currently my favorite app for piano teaching. Unlike other note identification apps that present a note and require the user to name the note by letter name, Note Rush “listens” using the iPad’s microphone to identify whether the user is playing the correct piano key. It’s so important for students to learn to associate staff positions with the corresponding piano key in the correct octave, and Note Rush encourages this. Tell your students to buy this app instead of a box of flashcards. Read my full review here. Music Flash Class is an interactive note identification app. The settings offer a myriad of options to customize the experience. I love that you can chose to show or hide the timer, and that you to choose a particular range of notes to practice. Teachers can even customize and save their own “decks” of notes. Music Flash Class is very simple to use and easy to navigate, which makes it a great tool for students to use at home. Read my full review here. These two apps are excellent for students to practice identifying notes on the staff. In each level, the player is given sixty seconds to find all of a given note(s) as a variety of different notes scroll across the screen. If the player misses more than 3 notes, they must re-try that level. The graphics and the background music in these apps are wonderful. NOTE: Each app contains 5 “Stages” with 10 levels each. The Treble Cat app begins with the Middle C position and gradually adds notes above that, up to high G. The Bass Cat app begins with Low A (first space of the staff) and gradually adds notes up to Middle C. Students who are studying piano via a method book that utilizes the “Middle C approach” may wish to begin with Stage 4 of the Bass Cat app instead of Stage 1. (Visiting the “Settings” area allows the player to unlock all the levels and begin at any Stage.) Read my full review here. This app tests players on how many notes they can identify within a set time limit for each note. There are three levels of difficulty: Beginner, Intermediate, and Virtuoso. Once the time is up, the game is over and the score is displayed. The app keeps track of all the high scores. The only downside to this app is that it does not allow you to choose a range of notes to practice — all notes on the staff are fair game. Flashnote Derby is a note-naming app, but it is more of a game! By naming notes correctly, your horse might win the race. There is even a reindeer mode to use around Christmastime. :) I hope to write a full review of this app soon. This is another app for practicing note names, but NoteWorks feels more like a game than a flashcard drill! NoteWorks allows you to save you progress under your own name, earn points, and advance to different levels. Read my full review here. This app contains 22 lessons, 5 tutorials, and 5 tests that cover basic music theory topics. This is a great app for beginner and elementary students to use at home to reinforce concepts being learned during lessons. The first tutorial begins with an overview of the staff. The advanced tutorials cover topics such as key signatures, syncopation, and major/minor chords. The app allows users to sign-in under their own name in order to track their progress through the tutorials and quizzes. This app was created by the same folks behind the fantastic musictheory.net website and provides an convenient way for students to access the musictheory.net tutorials on their iPhone/iPad. This is an excellent app especially for self-motivated high-school or adult students. The MusicNotes Deck app provides three decks of flash cards: (1) 50 music symbols/terms, (2) two octaves of treble clef note identification, and (3) two octaves of bass clef note identification. Please note that this app is NOT a game nor does it automatically correct answers in any way. Instead, the app shows flashcard and allows the user to “turn over the flashcard” to see the answer on the back. The app also can pronounce each term with either English or British pronunciation. This app is a great way to study musical terms and symbols as well as practice note identification. The graphics are gorgeous, too! Read my full review here. goodEar Pro is a combination of goodEar Intervals, Chords, Melodies and Chords — which are all apps that can also be purchased separately for $0.99 each. The interface is easy-to-use, and the settings allow you to customize how the app quizzes you on certain topics. This game is a great trainer to test pitch memory and the user’s ability sing on pitch. Before each level, the game sounds three pitches (e.g., do-re-mi or perhaps do-mi-sol) that the player must remember. When game play begins, a small ball begins slowly bouncing from the top of the screen to the bottom of the screen. To prevent the ball from falling below the bottom edge of the screen, the player must sing one of the three pitches in order to make the paddles along the bottom light up. The SingSmash Level Maker is another app ($1.99) that is available for players to design and create their own levels to share with their friends. This ear training app is fun and silly, but it does have some educational value! Each of the blobs in the chorus sing a note, and then the king blob sings his note. The aim of the game is for the student to identify the blob that sang the same note as the king blob. SightReadPlus is an app intended to help piano students improve their sight-reading abilities. The app not only provides over 4800 different sight-reading examples, but it also “listens” to the student play on their piano and evaluates their performance based on accuracy of pitch and rhythm. Because the app allows the student to sign-in under their own name, the app can also track the student’s progress over time. The sight-reading examples in SightReadPlus are limited to a 5-finger pattern range and are in major keys only. They are divided into 10 levels of difficulty and can be played by either hand in any major key. This app is a wonderful tool for teachers to use with students during lessons or for students to use on their own at home. Read my full review of this app here. If you are not already familiar with Piano Maestro, here’s how I would sum it up: Piano Maestro is an app for iPad that provides music for the student to play, listens to the student’s acoustic piano using the iPad’s microphone (no wires required, although if you prefer to hook it up to a keyboard with headphones, you can), and evaluates the student’s playing based on note accuracy and rhythm accuracy. The student’s progress is saved over time and points are awarded, essentially “gamifying” the experience. The developer, JoyTunes, is a team dedicated to piano education and listening to feedback from teachers. There is much to say about this “game changing” app. Read my complete review here. There are two games within this app: “Germ Attack” and “Staff Master.” “Germ Attack” is similar to Guitar Hero on the Wii. The notes scroll downwards on the screen towards the keyboard, and the player must press the right piano key at the right time. “Staff Master” is a little more challenging because the “germ” notes appear on the staff. The educational value of these games are in the ear training that players will receive by learning to play tunes by ear. Players will also become familiar with a variety of old folk songs and classical themes. Read my full review here. Unlike some orchestra apps which only quizzes students, this one actually teaches instrument names/sounds. This app is appropriate for toddlers and young children. The lite version includes 5 different instruments, and the full version adds 12 more instruments. This app features the music of the well-known composition by Benjamin Britten, “Young Person’s Guide To The Orchestra.” The app allows you to view the score of the piece as it is played or view a video of the Royal Northern College of Music orchestra performing the piece. The Orchestra Pages offer illustrations and short audio clips of the various instruments. The app also contains a variety of other activities, including an Aural Quiz (of the orchestra sections as well as the individual instruments), the BB Pages (offering information about Benjamin Britten), a Variation Game, and the Fugue Game. This is a great tool for teachers to use when teaching about the instruments of the orchestra as well as a great app for students to explore on their own at home. Soundsnips is an app created by the KUSC classical radio station in Los Angeles. The app provides selections of Baroque, Classical, Romantic, and 20th Century music by various composers. As each selection plays, the app periodically provides written notes with interesting facts about the piece and/or composer. This could be a great app to use for weekly listening assignments with students or to recommend to adult students or classical music buffs. Do you remember playing a “Simon” game when you were a kid? Well, this app like having a piano version of a Simon! Try testing your memory in the two-player or the single-player mode (against the computer) with this app. This fun app allows you to remix your own tunes with your cute Jelly friends! Choose and drag each Jelly friend into the stage to add them to the orchestra. This app is a spin-off of the Jelly Defense game app. This is a fun, colorful app that allows students to explore improvisation and music-making via a sequencer. The app has two parts to it: a keyboard wheel, and a sequencer wheel. Either way, students will enjoy the colorful graphics and the fun sounds that are made as they touch various graphics on the screen. This app is appropriate for all ages. This app is based on the “Simon’s Cat” comic. The “free play” mode lets you play the screen piano that has meowing sounds, and you can even record your own tunes. In “challenge” mode, Simon’s Cat teach you how to play some simple tunes by ear. This is a cute little app! Musiclock is a $2.99 app for iPad and iPhone that provides a variety of backing tracks intended to be used while practicing scales or improvising. The scale choices are: major, major pentatonic, minor pentatonic, natural minor, melodic minor, harmonic minor, blues, and dominant bebop. Depending on the scale choice you made, there are a variety of backing tracks to choose from with varying styles and tempos. By touching and turning the spinner, you can select any key. Then, touch the play button and you can jam along on your instrument or using the on-screen keyboard! Highly recommended. Read my full review here. This is a useful app that can annotate both jpg and pdf files — perfect for completing worksheets digitally with students! The app allows you to import files via a variety of methods (DropBox, Google Docs, iTunes, etc.) and organize your files into “notebooks.” Once your files are uploaded and organized, you can complete and erase worksheets with students over and over again. Read this post to learn more about using GoodNotes. This app works great for recording audio (when you don’t want video) of your or your students’ playing. 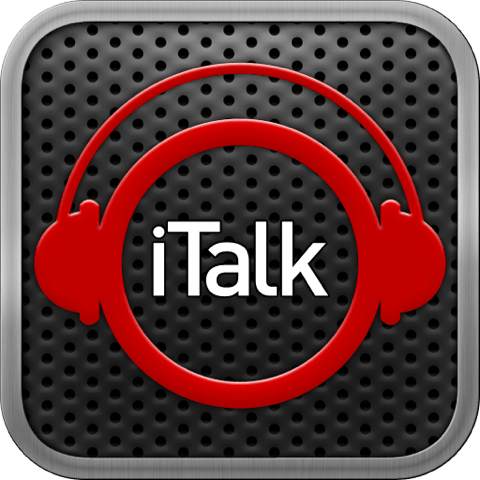 There are two advantages of using iTalk versus the pre-installed Voice Memos app: (1) higher audio quality (AIFF files); and (2) convenience (easy transferring/syncing files). Read my full review here. SpeakBeat is a metronome app, but with a twist: it “speaks” the beats! Just choose the time signature and choose whether you’d like sub beats counted (the “and’s,” “one-and-a’s,” and the “one-e-and-a’s”) or not. This metronome alternative can help students become more aware of meter when they play. Read my full review here. Petronome is just what is sounds like: a pet + a metronome. The metronome sound you will hear is the pet “mewing,” “barking,” etc. Your young students will be absolutely charmed! It is a fun app to use for rhythm activities with preschoolers or any young beginner student. Read my full review here. SpeedTube allows you to choose any video on YouTube and play it under tempo, without adversely affecting the pitch of the audio. This could be useful for learning new licks to play from YouTube tutorials or when transcribing music (when legal to do so, of course). This app allows you to choose any music track currently on your iDevice and slow or speed up the tempo, without adversely affecting the pitch of the audio. In-app purchases allow you to remove ads or add extra features. This app is for students who know their major and minor chords and are interested in learning to play pop music. The app allows you to download free chord charts from the iReal b Forums, and save them into your library. Once you pull up a chord chart, you can transpose it to any key, choose any tempo, and play along with a chosen background track (with percussion, bass, guitar, etc). You can also create your own chord charts. NotateMe (FREE version or $39.99 for the full version) — for iPad/iPhone (also available for Android). NotateMe is a music notation app that allows users to enter music by hand or using a stylus. As the notes are drawn, the app interprets your handwriting and creates printed notation. This technology is impressive! The app allows you to export MusicXML files, MIDI files, or PDFs of your scores. Read my full review here. Moosic Studio is designed to be an all-in-one solution for running a music studio. It keeps track of student information, allows you to enter assignment sheets (you can print them or send them digitally to students via email/Dropbox/etc), organize video by student, and much more. Moosic Studio may seem like an expensive app at first glance — but when you consider the fact that this is an all-in-one studio management solution for a one-time fee (versus other studio management solutions which require monthly fees), it is a real bargain. Read my full review here. Bobclass is an all-in-one productivity app for instructors, tutors, trainers, coaches and other independent professionals. It offers appointment scheduling, client tracking, progress monitoring and payment tracking from your iPad so you can get rid of separate agendas, clipboards and spreadsheets. Although Bobclass isn’t a solution for large, multi-teacher music studios, I think it is an outstanding studio management option for independent music teachers. Teachers can even enter progress notes (aka assignments) with attached photos/video and email them to clients. The graphics are outstanding and the navigation is incredibly intuitive. Read my full review here. Check back soon for more music apps! If you have a suggestion for an app to add to the list, please leave a comment below. App developers: To contact me about writing a review about your app, please contact me here. Dust Buster and Piano Mania – No cables attached, they can hear your acoustic piano and evaluate your performance as you play along to fun midi tracks. These are our students’ top app picks every week. Have you heard of Easy Piano on the apple app store. It’s like dustbuster but much simpler for ages as young as three, I’ve had kids as young as 3 play all the popular songs some on their first try. Could you tell me what you think and review it if possible thanks! Check out SightReadPlus & Sightreader. Also, GarageBand is highly recommended for learning how to layer sounds, mix, record, etc. Thank you so much for this list! I will keep coming back to it. If you’re interested in more apps to post on your site, here are a few I use a lot with my own kids. I love your site. It has great information and it’s presented very well. I’m considering some of your composer studies, but it would be more appealing if there were “pack” options with discounts. Thanks for your input, Victoria! Do any of these apps use solfege? In the Harmony Road Music Course we used fixed DO — and it’s hard to find good apps that give you a choice of letter names or solfege. Try “Do Re Memory.” It is a note-reading app that has the option use solfege or letter names. Thanks for this list! I have a lot of these apps already and love them!! Thank you for the App list. This is great. I have some others you might really like. MUSIC LAB Free or $6.99. So worth it though teaches children pitch. MELODY STREET is a MUST for any music teacher. They have some fun apps that are free and my students love them. Only problem is they have not updated the story in years. Just type in Melody Street and you will get all the apps they have. 4 MUSIC ROOMS is another great free one. NOTE SQUISH is free and a great app for teaching music theory. It is very much like Flashnote derby. I just purchased DRAGON SCALES for $4.99. It is wonderful for teaching the musical scale. Thanks, Christina! I have some of the apps you mentioned but have not gotten around to writing reviews for them yet. Some of the apps you mentioned are new to me, though, and I’m excited to check those out! I’m Nayoung and one of piano teachers in south korea. I also have run a my own piano lesson studio since 2007. Are there any apps with games for BOTH rhythm and notes? If you are looking for an app for students that involves both rhythm and notes, you may want to look at the apps listed under “Sightreading.” The apps listed on this page are the ones I have had time to write reviews for — but there are obviously many more apps available in the App Store. Do some browsing and do let us know if you find something good. Thanks for commenting! Thank you for the insightful and useful site. I’m also an app developer (and also from Michigan!) and have released another app for rhythmic training called MyRhythm. I’d be happy to send you a promo code to check it out. I enjoy reading your blog & have been able to implement some of your games/ideas into my teaching. That being said, I do not have an ipad, but I do have a tablet. Do you have suggested aps for other devices? Thanks! Sorry, I am only familiar with the music apps available for iPhone/iPad, since that it what I own. I’m not sure what kind of tablet you own, but I can point you over to Jennifer Eklund’s blog here to find information about Android apps. Hi Joy, you might like a new app, we have just launched – <a href="https://itunes.apple.com/us/app/play-and-sing-piano-for-kids/id934746535"<Play and Sing – Piano for Kids. It enables young children to play their favourite songs on piano. The interface is tailored for kids and it is really easy to start playing with this app. Hope you will like it. Do you know of any free or relatively inexpensive apps that may help students become self-reflective learners. Specifically for singing solos and choral performances? Sorry Chrystal, I don’t happen to have any suggestions for apps related to singing! I suggest googling to find other lists of music education apps, if you haven’t already, to see what you can find. Do you know any app similar to the piano dust buster, were you put your tablet in front of the piano? I have a samsung tablet & unfortunately dust buster wont even come up in the app store. I’ve played the game before when we had an ipad. Hi Nina. I’m sorry, I’m not familiar with music education apps that are available for platforms besides Apple. I LOVE rhythm lab I use it with all of my students and it definitely enhances the lessons! Great list too I will be checking some of these other apps out for sure! Thanks so much for this Joy! i found an app for the iPad called singspiel. Even for an adult the cartoon like setting adventure is entertaining. And the app works with the piano as well when trying to go through songs. It was a free app with in app purchases. So far I haven’t had to make anything. But you should give it a look. Not a teacher for piano but an adult learner with a child for brains lol. I love this site though, I’m learning from it! My First Classical Music App ($4.99) – Includes 8 mini bios of composers and features a large list of instruments. Very fun for young students, but I use it with older students sometimes too. There is a lot of text, but students can click on the text and it will be read to them. Also features great sound clips of classical pieces. Also the Piano Adventures Player app ($4.99-$19.96) – Includes a track to play along with all the pieces in the Piano Adventures lesson books (Primer to Level 2B). The free version includes a few songs from each lesson book. I haven’t purchased this myself, but after downloading the free version, I’m definitely considering it. Anyway, thanks for the great content! Hi Kyle, Thanks for your comment! I have both apps you’ve mentioned, but haven’t had the time to write reviews for all of the wonderful apps I use and enjoy. :) Thanks for posting!! You are an absolute blessing. I just installed at least 8 apps that you reviewed. It’s such an amazing unselfish thing that you share your knowledge and findings with others. My young piano student was having difficulty concentrating at her recent lesson, so I let her work on ‘BLOB CHORUS’. She paid attention immediately, and loved it. It’s wonderful for learning ‘pitch’. I plan to recommend it to some of my older students as well. FYI, I like it also! Thanks a million. Keep up the good work, Joy! ? You’re an absolute treasure. So glad God directed me to your site. Hello Yolanda, Thank you so much for your kindness and sharing about how that app helped your student recently. I’m so glad you found us here at ColorInMyPiano! I just stumbled on your site and love it! So many useful tips and resources. Thank you! I invite you to check out the free “Scales Tutor” (for iPad or Android) or “Scales Tutor for iPhone” apps which include tutorials, practice and testing for all key signatures and scales. I made this app for my own students so I can cut down on the lesson time needed to explain and re explain these concepts. Works like a charm. Hello! I am looking for I-pad or any apps for my students who just started to learn the keys ( where A,B ,C and so on it is located ) until they get they keyboards. Thank you for any suggestion! Thank you for this wonderful resource! I have many of these apps already, but am always excited to find new things for my students to try out! I was wondering if in your searches you have ever come upon an app where the teacher can write the music and then the student plays and it recognizes whether or not they played correctly. I can find apps that do one or the other, but not both. I teach quite a few students with special needs and such an app would be absolutely invaluable in my studio, especially for when these students practice at home. I haven’t seen any app that does quite what you describe, Samantha – but I agree that such a tool would be a valuable resource!